This site is based around a blog recording our travels through Europe…mainly France…..in a motorhome (christened Mavis in a previous incarnation) with two border terriers, Penny and Colin, aka the Kray Twins, and two cycles. 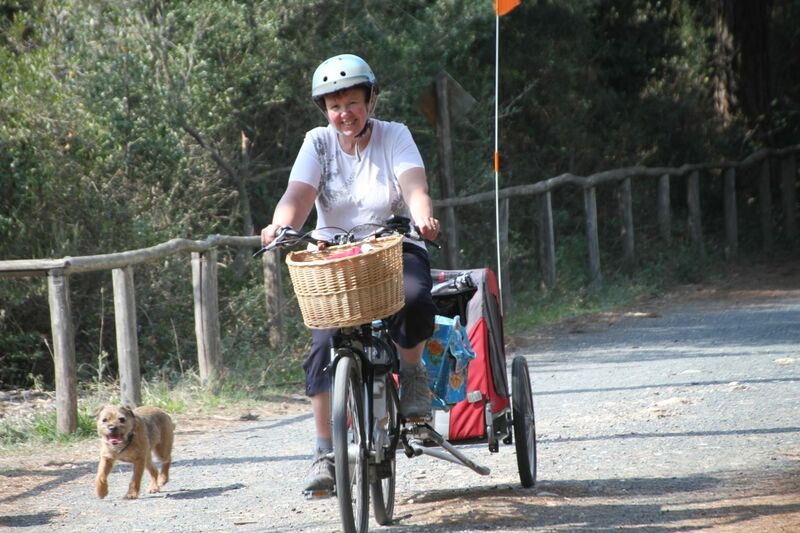 The blog is a resource of campsite descriptions and locations with a preponderance of cycle and dog friendly places. We have described good cycle rides and walks as we have encountered them, and have tried to give a flavour of the itinerant lifestyle we embark on twice a year. Many of the characters we have met on our travels , often surprisingly eccentric and almost always fascinating, are described here. Just click on the Home button above to read the blog, which is a list of posts in chronological order going back for the last 4 years or so since our retirement. Individual posts can also be accessed from the list on the right of the screen where they are classified geographically. The most recent posts are shown in a box on the right. The blog can also be searched using the search box; search on ‘eels on toast’ for example for a description of some unusual fare encountered in Southern Spain, or search on ‘flamingos’ for shots of these elegant birds in the Camargue and Cabo de Gata. 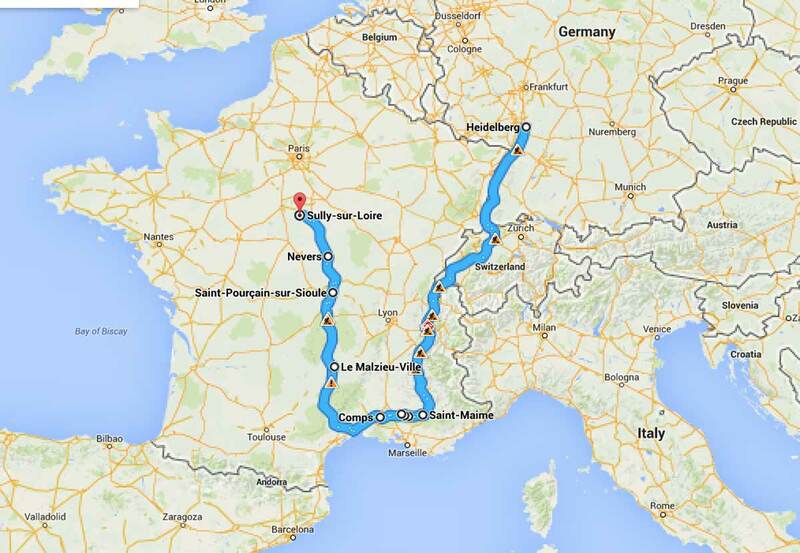 We have included maps of sections of our travels; above is the Heidelberg to the Loire leg of the Spring 2014 expedition…not the direct route. Hi! I’ve just come back home in Isère. We met on the ferry to Porquerolles- the English teacher- and I immediately connected with you two (and your lovely dogs). I hope you enjoyed the beach and the Fort etc. My aunt and I did. I really love your pictures and comments. I left my email address so, if you want to keep in touch, I’ll be happy about. Have a great time and take care. From Catherine. Hi Catherine. We loved the Island and it was good to meet up. We will email you. I am off to catch the sunrise now. What a beautiful blog. It makes me homesick for Europe, but excited for our very own adventures in the new world. Lovely to hear from you and great news about your new motorhome…..I hope you’re going to share your adventures in a blog? We must come over and share some more cocktails one day….